I am from Ohio. First from Dayton, and then we moved to Columbus. 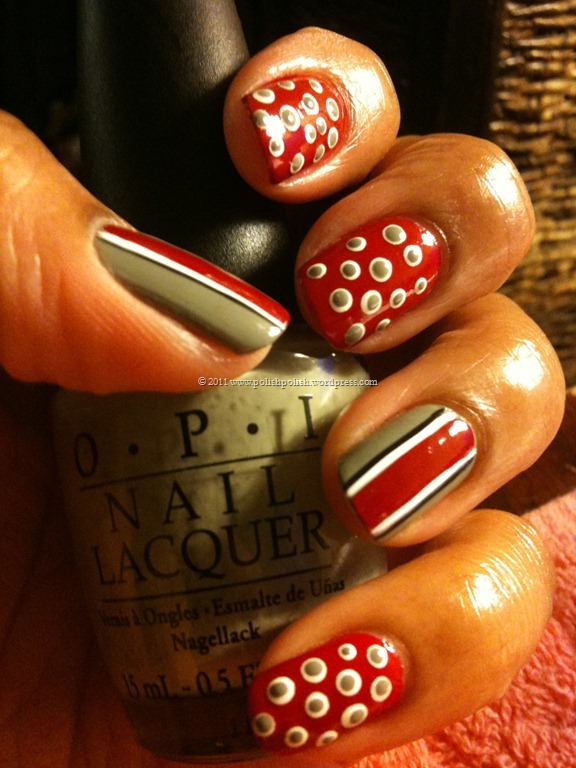 My Dad is a Buckeye fan…. so, of course, SO AM I!!!! Contributor Dee Dee and I will have a “forever feud” about her wack Michigan team versus those auspicious Buckeyes!! With Monday’s announcement of the new head football coach at The Ohio State University, I felt it was a wonderfully appropriate time to show some Scarlet & Gray love. 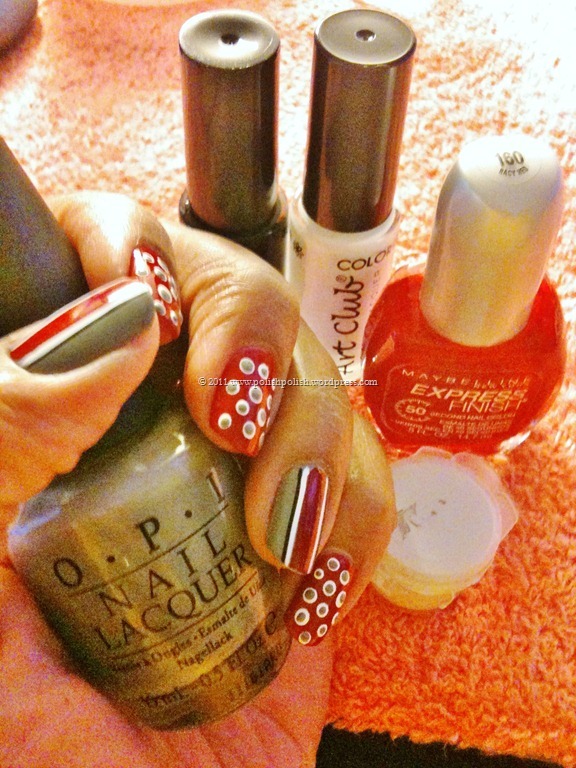 This entry was posted in Color Club, Maybelline Express Finish, Nail Art, OPI, Video Tutorial and tagged acrylic paint, nail art, OSU, Racy Red, stripers, Suzi Takes The Wheel, The Ohio State University. Where did you get your tools from? I have been looking for some and have no clue where to go! I looked at Ulta and they had nothing ;( Thanks and Go Bucks!